A roof looks like a simple thing – rows of shingles or shakes, a couple of vents and some flashing. It is not just the quality of the materials that make up your roof that is important. It is the precision of the installation. Did you know the average 2,000 square foot home has some 3,300 shingles held in place by over 8,000 roofing nails? There are also several hundred other pieces including underlay, flashing and vents. When you buy something from Ikea and have to put it together, you have at most a couple of hundred pieces. And you expect they will all go together properly. After all, it is a manufactured item. Just like your car. Even though a car is a much more complicated item, they are put together with the same process and materials over and over again. They are a totally standard item made by the thousands if not millions. But your roof is unique. It has a different slope, different angles and a different size than your neighbours. And it has thousands of parts that have to go together right to protect your home. Do you realize that any one of those 8,000 nails, if nailed wrong or placed incorrectly, could cause your roof to develop a leak? Maybe not right away but down the road. Here are a few examples of things that can go wrong with just the nails. During installation of a new roof, the installer can place the nails too low on the shingles so that the next row of shingles doesn't cover the nail heads. A leak can develop because when it rains water will now be able to flow around those exposed nail heads and go into the roof rather than just running off the shingles. If the installer nails the shingles too high on the shingle, shingles can get blown up in the wind and even ripped off. If an installer isn't vigilant, a nail can hit a knot in the plywood decking so it doesn't go down all the way and is poking up a little bit. This is hardly noticeable but it'll actually ruin the shingle above it within a few years. This is because it will end up poking through that shingle. The installer can also place the nails too deep into the shingles. 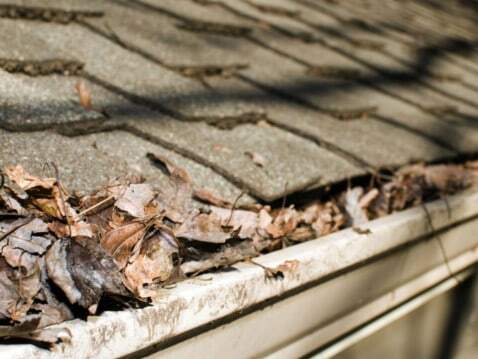 This damages the shingles or even goes right through them. The bottom line is that you need a roofing company that has a standardized roofing process. This means professional installers monitored by highly-trained quality control inspectors to ensure the roof is right. This is what we have at Absolute Roofing Solutions. We have many long-term, trained and dependable staff, all of which are trained to the highest standards of CertainTeed’s ShingleMaster training. We are proud of our friendly professional team and their complete attention to detail. Call us today at (604) 263-0334 or ask for a quote online. Our professional roofing team will be more than happy to help you with all your roofing needs and questions.